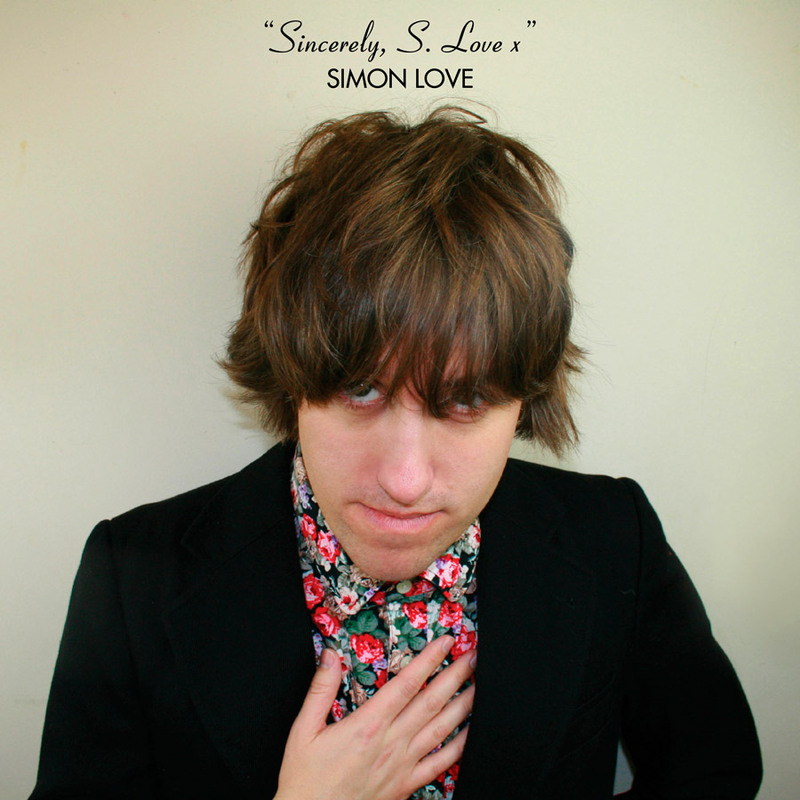 “Sincerely, S. Love x” (o beijo é para ser dito) é o segundo álbum a solo de Simon (o seu disco de estreia de 2015 “It Seemed Like A Good Idea At The Time” foi editado na brilhante e agora extinta editora Fortuna Pop) e apresenta, pelo menos, dez hits. Hits pop, com harmonias ELO, produção Spectoresque, cordas e trompetes, etc. Tudo gravado nos últimos dois anos em Londres, Inglaterra. This song was written as a wedding present for my wife. It’s not only heartfelt but really cheap too. In return she got me a copy of “Yesterday And Today” by the Beatles with the “Butcher” cover. She won that. I really did come from a dream where I sang the most amazing song but when I woke up I couldn’t remember it. This was meant to be like a Silver Jews sort of song with me recounting my life to date. It came out a little less spectacular than I expected. A love song to a hero. The lyrics were originally written for a song from The School’s second LP. I asked Mark (my keyboard player who produced and mixed the record) to make it sound like a Phil Spector production. He did this by adding loads of reverb to the drums. It’s that easy! This came from a real letter to the Blue Peter (a kids’ TV programme in Britain) presenter John Noakes when it was announced he was leaving the show. It’s my imagined reply trying to explain how everything changes and nothing stays to the same to an 8 year old boy in the nicest possible way. Another love song for my wife. It’s about when you can’t put into words how much you love someone and only swearing will do. We tried to do Beach Boys backing vocals on this but they sound a bit weird. I really love the Spagetti Western instrumental bit in this and all the parts with A Little Orchestra. They add a lot of lovely textures to this whole record. The first song recorded for the LP and released as part of an EP in 2016. It’s a power ballad with a bad pun for a chorus. I love doing this one live as we do an instrumental coda where everyone gets to show off and make a lot of noise. #8 (Why'd You Get That) Tattoo Girl? A true life story of a tattoo (“Thank You For Loving Me”) I saw on a girls back on the same bus a few years ago. I was amazed that anyone would have that written on them forever! It really played on my mind for days afterwards so I exorcised it by writing this song. Originally it was a lot slower and sounded more like an Elton John song but The Old Romantics jazzed it up a bit. This song encapsulates the first half of 2014 for me. I was miserable and I didn’t know if up was down or vice versa. It was the last song recorded for the LP about 3 weeks before we had to deliver it to Tapete. It’s one of my favourites but we’ve rearranged it for live performances now so it’s got a lot more punch. With a few lyric changes it’ll be the next single complete with a “Let It Be” style video.